A vital force in American regional theater for more than four decades, the Actors Theatre of Louisville produces a variety of events, including the Humana Festival of New American Plays, the distinguished New Play Program, and the biennial Bingham Signature Shakespeare series. Many of the Humana Festival plays have been published in Actors Theatre anthologies as well as individual acting editions, making them part of the permanent canon of American dramatic literature. Biographer’s International Organization (BIO), a non-profit organization, was founded in May of 2010 to promote the art and craft of biography, and to further the professional interests of its practitioners..
A literary journal founded in 1990 and based in Portland, Oregon, publishing literary fiction by established and emerging short-story writers. News & Views from the Sustainable Southwest. A monthly 30,000 copy 40-page full color newsprint publication distributed throughout north central New Mexico and on the web. Feminist artists using smart humor to address sexism with performance art. 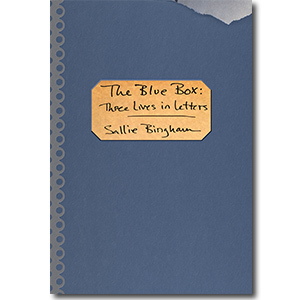 Established in 1985 by Sallie Bingham, the Kentucky Foundation for Women promotes positive social change by supporting varied feminist expression in the arts. A theater company established in 1976 in the small rural town of Horse Cave, near Mammoth Cave National Park. Founded in 1907 and located in Petersborough, New Hampshire, MacDowell is the oldest artists’ colony in the United States. The Colony awards residencies to composers, filmmakers, visual artists, interdisciplinary writers, and architects. This organization promotes women as impassioned leaders and agents of change dedicated to the stewardship of the earth. The Center—part of Duke University’s Special Collections Library—acquires, preserves, and makes available to researchers published and unpublished materials that reflect the public and private lives of women, past and present. This nonprofit literary press based in Louisville, Kentucky, focuses on quality poetry, short fiction, and creative nonfiction. This independent press based in Santa Fe, New Mexico, publishes a wide array of general fiction and nonfiction, as well as nonfiction that preserves and highlights the richness of the American Southwest. VIDA seeks to explore critical and cultural perceptions of writing by women through meaningful conversation and the exchange of ideas among existing and emerging literary communities. An international working retreat for visual artists, writers, and composers, located in the rolling foothills of Virginia’s Blue Ridge Mountains. VCCA provides residential fellowships of two weeks to two months, where highly accomplished artists may work on their creative projects, free from the distractions of day-to-day life. The mission of the Women’s International Study Center is to interpret the lives and advance the contributions of Eva Scott, Leonora Muse and Leonora Curtin in the arts, sciences, cultural preservation and business, while preserving their Santa Fe home, Acequia Madre House™, and related collections. Founded in 1978, the Women’s Project is the nation’s oldest and largest company dedicated to producing and promoting theater created by women. This is an ongoing seminar for women—academics, independent scholars, journalists, and other professionals—who are engaged in writing book-length biographies and memoirs that portray the complex realities of women’s lives. It began in 1990, and operates under the aegis of the Center for the Study of Women and Society and the Center for the Humanities at the Graduate Center of the City University of New York. Founded in 1900, Yaddo is an artists’ community located on a 400-acre estate in Saratoga Springs, New York. Its mission is to nurture the creative process by providing an opportunity for artists to work without interruption in a supportive environment. Yaddo offers residencies of two weeks to two months to professional creative artists working in choreography, film, literature, musical composition, painting, performance art, photography, printmaking, sculpture, and video.